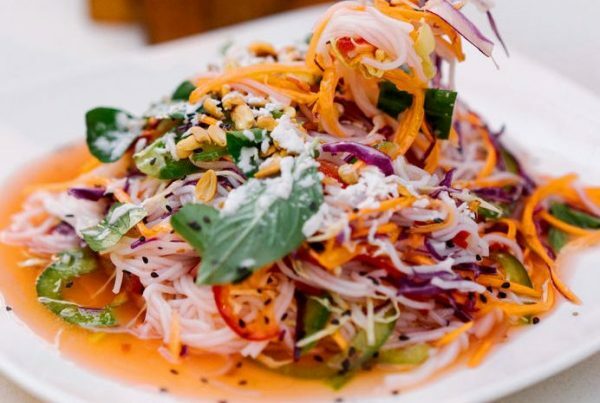 In this light salad, noodles are paired with healthy raw vegetables in a tangy lemon sauce. 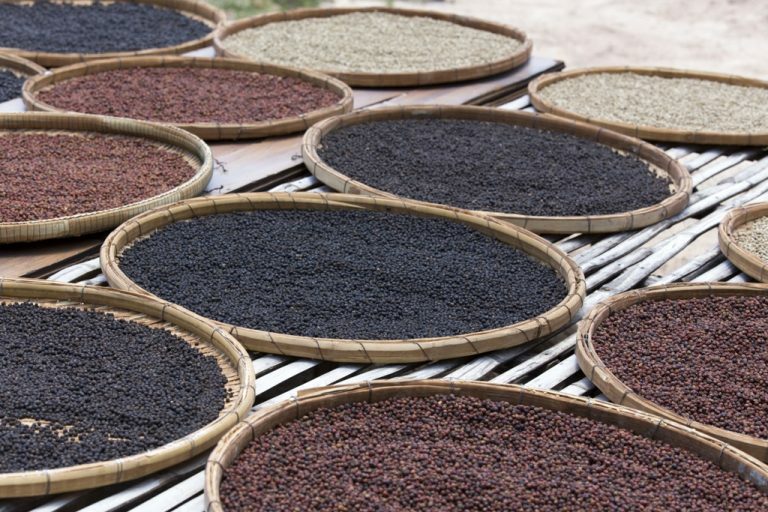 It’s seasoned with Kampot pepper, which has a floral note and is considered the finest pepper in the world. Grown in the mineral-rich mountains of the Kampot region, the taste of black Kampot pepper unveils hints of flower, eucalyptus, and mint. “It’s got a floral dimension that’s really something special,” said Anthony Bourdain. shallots, bell pepper, or shredded carrots. Substitute meat with shrimp or cold cut meat, or mix. In a small BOWL, mix 2.5 tbsp fish sauce, 4 tbsp lime juice, 3 tbsp sugar, and garlic. In a small BOWL, mix 2 tbsp anchovy paste, 1 tbsp soy sauce, 6 tbsp lime juice, 2 tbsp sugar, and garlic. Take the Kampot pepper out of the Neorm Masour Spice pouch and grind them. In a small BOWL, mix 1 cup of water, 4 tbsp lime juice, the ground Kampot pepper, and a dash of sugar and salt. In a large BOWL, add the salad sauce, noodles, meat, cabbage, mint, and salt to taste. Toss to combine. Top with peanuts, green onions, and optionally fresh chilies. Serve Kampot pepper sauce with salad. 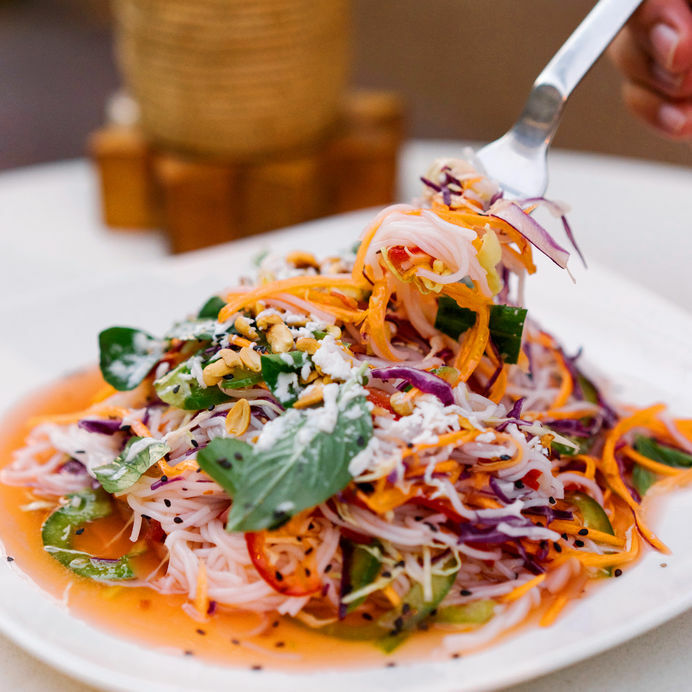 Drizzle plated salad with Kampot pepper sauce to taste.